Wild caught kangaroo is especially favoured by cats, and when combined with grass fed Australian lamb, vitamins, minerals and essential fats and oils, it makes the perfect food for cats of all ages. 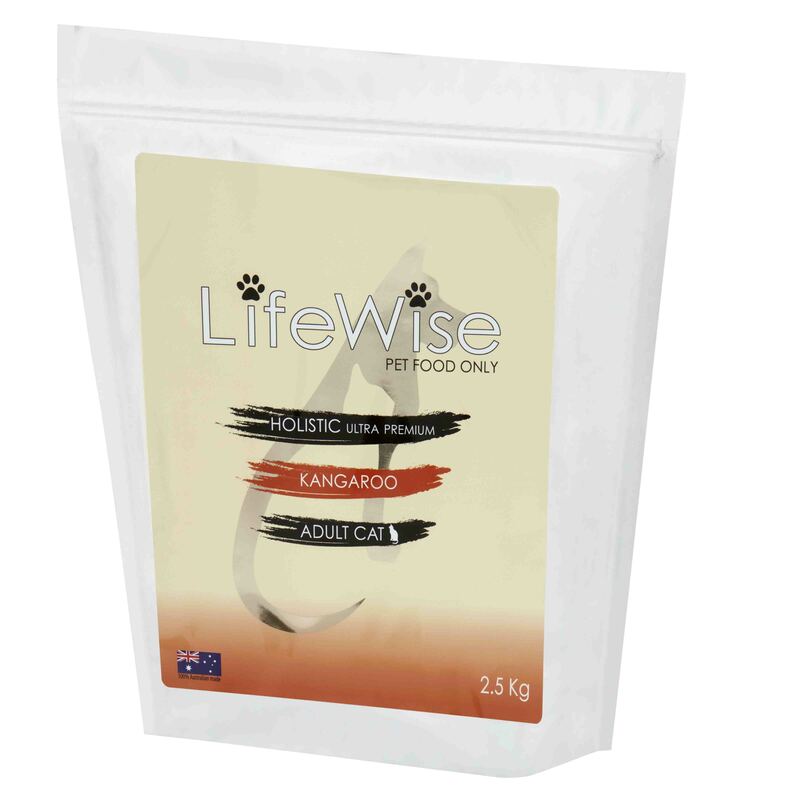 Low magnesium levels coupled with high levels of sulphur amino acids promotes a healthy urinary tract with optimum urine pH levels, whilst the unique scientific formulation is especially effective for older felines. 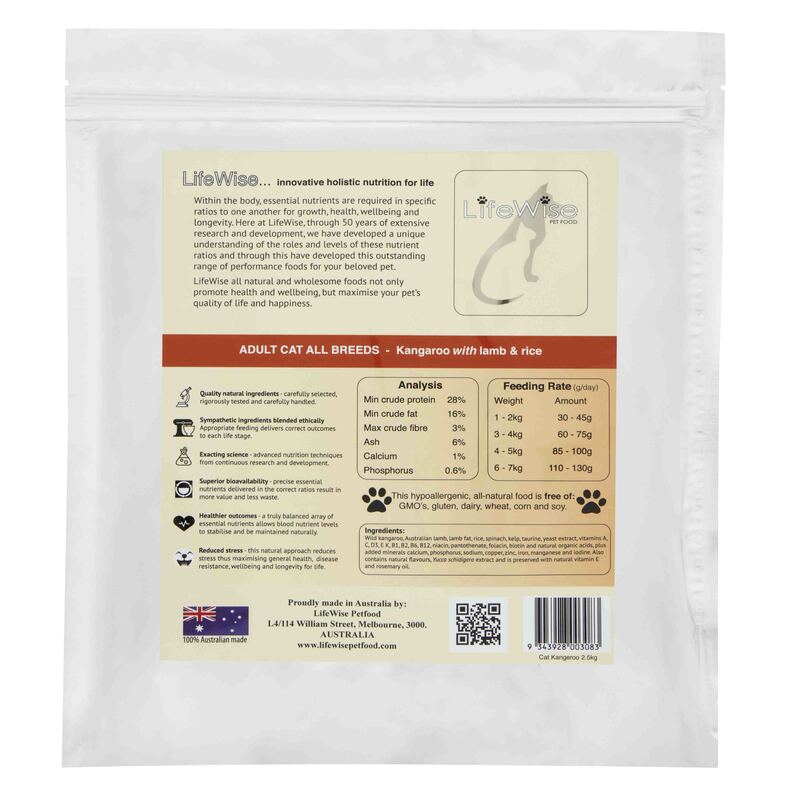 Wild kangaroo, Australian lamb, lamb fat, rice, spinach, kelp, taurine, yeast extract, methionine, vitamins A, C, D3, E, K, B1, B2, B6, B12, niacin, pantothenate, folacin, biotin and natural organic acids, plus added minerals calcium, phosphorus, sodium, copper, zinc, iron, manganese and iodine. 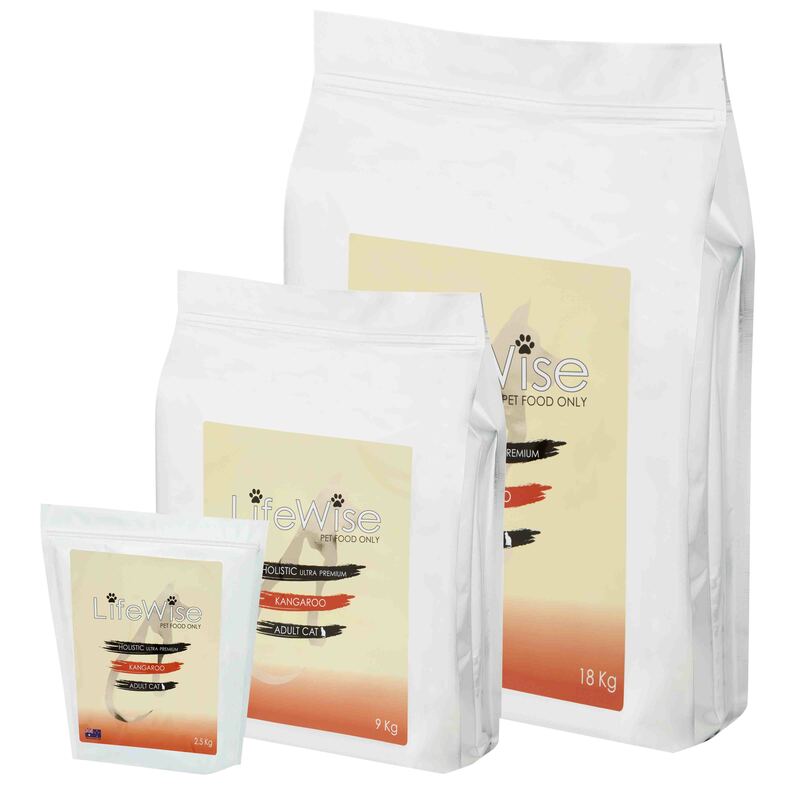 Also contains natural flavours, Yucca schidigera extract and is preserved with natural vitamin E and rosemary oil.